Penn holds all of its home Boys and Girls Golf matches and practices at Knollwood Country Club, 16633 Baywood Lane, Granger, Indiana. There are 36 holes at Knollwood. The par for boys matches is 72, and the par for girls matches is also 72. 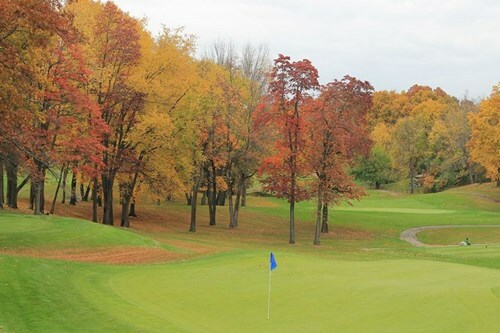 The courses cover more than 400 acres of tree-lined, gently rolling terrain. This is a private course and is not open to the public.